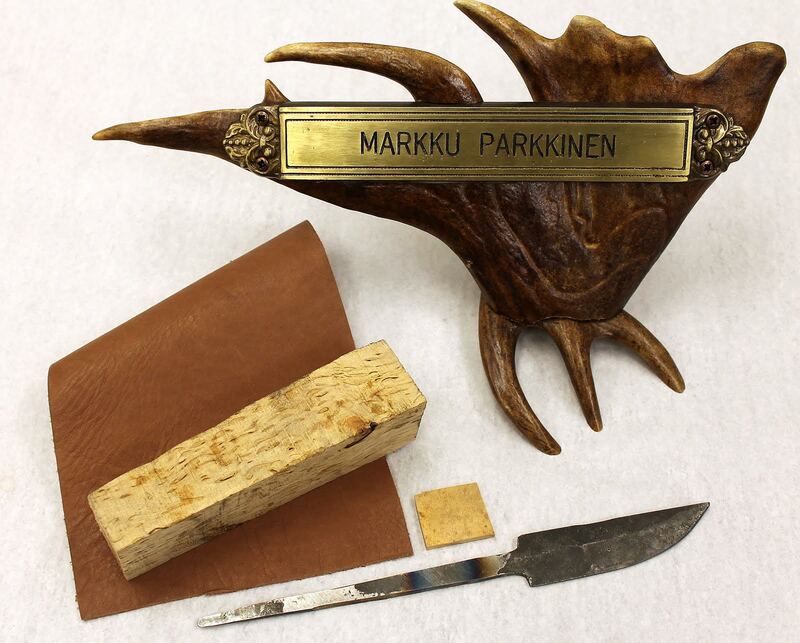 Veikko Hakkarainen is a full time blacksmith who lives and works in Tapio, a small locality a few km away from Rovaniemi, the “capital” of Finnish Lappland. 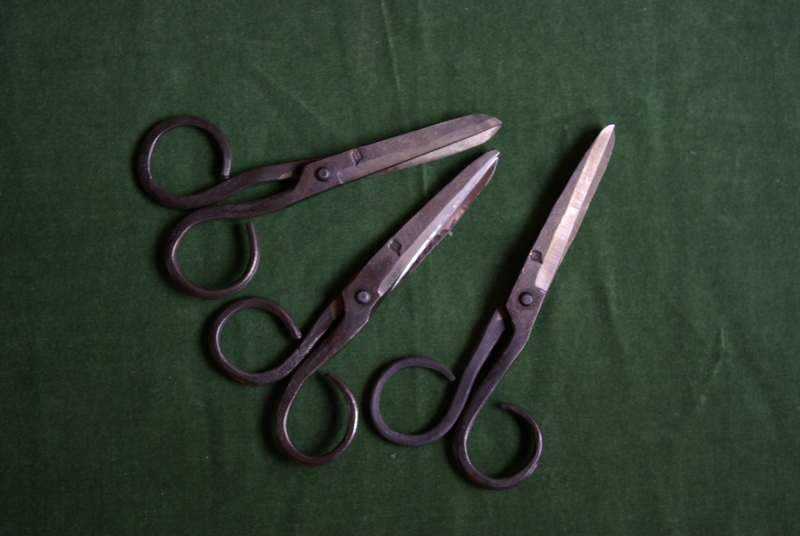 His great grandfather, grandfather and his father were also blacksmiths, but they didn’t craft knives for a living, though his father made few during retirement. Veikko was taught about blacksmithing basics by his father doing his forging on a charcoal fire, but he’s mostly self taught. 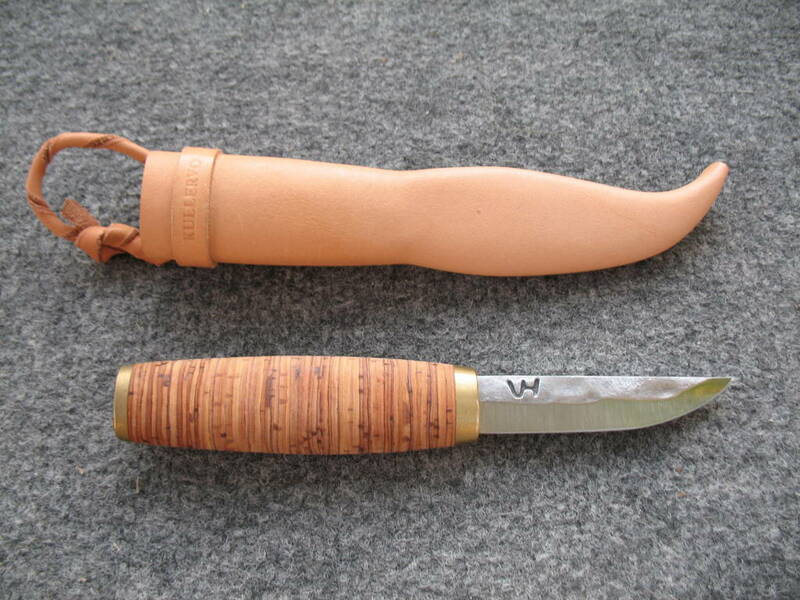 In fact he learned puukko making by himself. His goal has always been to make the finest knives possible, as precise as possible, paying careful attention to details and giving the best of himself to every knife. In thirty five years of knife making for a living he has received major awards twice, even though this isn’t really important to him. 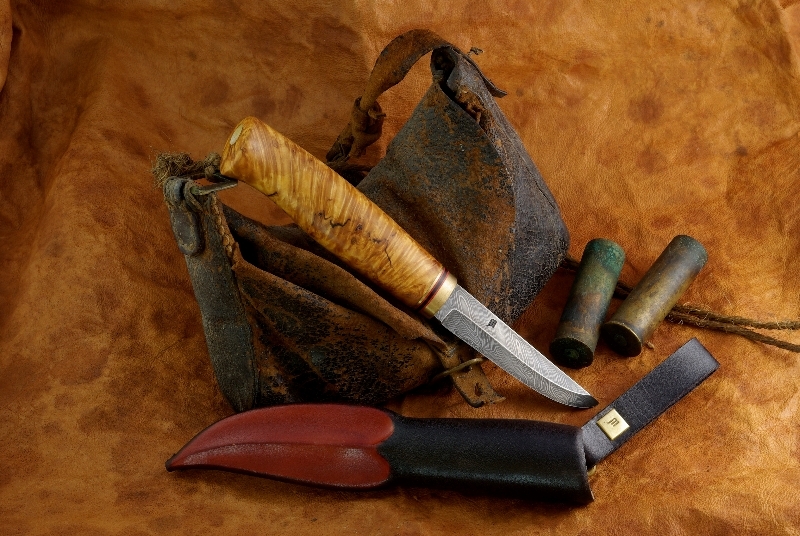 In 1986 his Kullervo won a puukko contest in “Metsästys & Kalastus” (Hunting & Fishing) magazine and in 1995 he was chosen as the best Finnish knife smith. The most important thing, he says, is customer satisfaction, not the awards. As long as his body will allow him, he’ll forge more puukkos and, after all, he plans to keep hammering for at least for another 10 years. 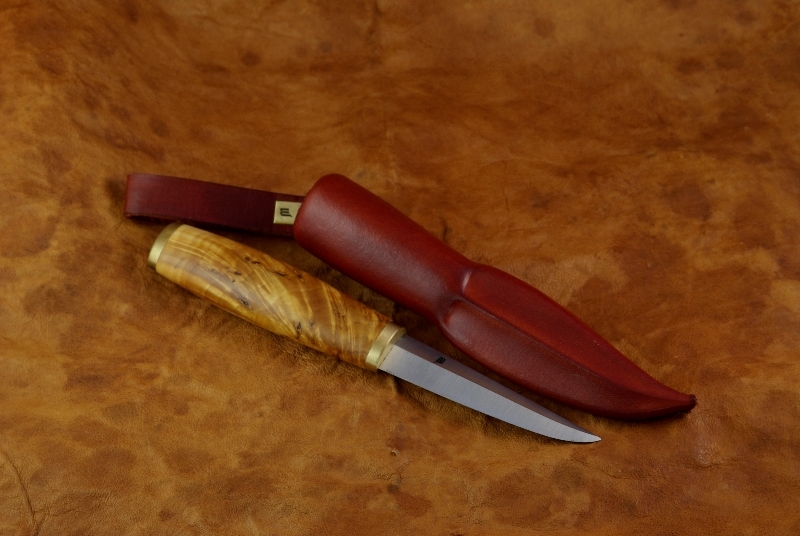 ”It is important to me that the tools I make, the knives, are as good and of the best quality as possible. Old, proven methods are essential in my production, but I don’t hesitate utilizing new technology, methods and materials either. 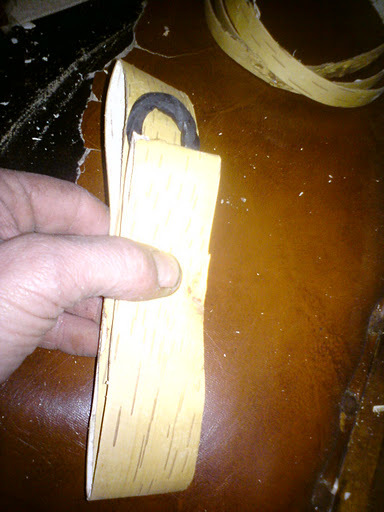 Being a knifesmith in fourth generation I feel obliged to do my work in the best possible way. 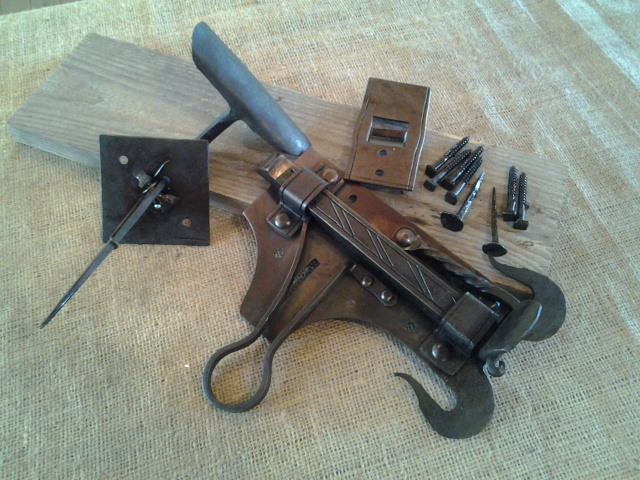 I have seen how tools can be made since I was a child and thus my began my interest in the profession of a smith. 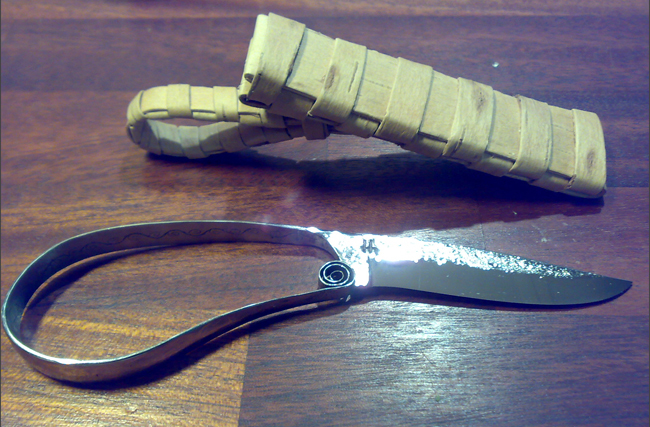 A Kullervo puukko by Veikko Hakkarainen. “The blade is hand forged from xc75 carbon steel and heat treated to 62-63HRC. 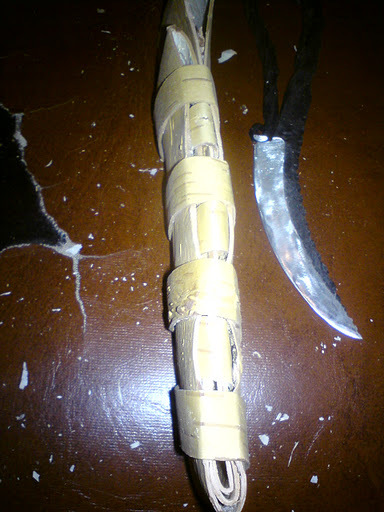 The blade has visible hammer marks.The handle is oval shaped and made of birch bark pieces compressed between two brass bolsters, bottom bolster is 7mm and top bolster is 4mm. 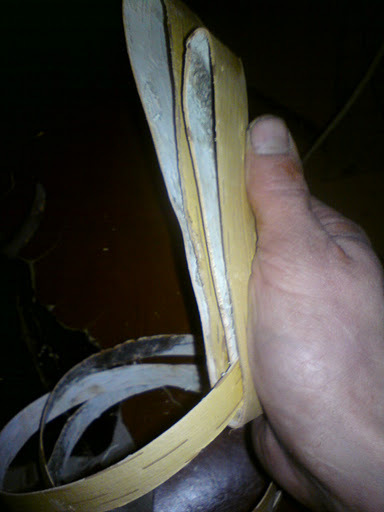 The birch bark handle provides a nice warm and comfortable grip in all conditions. Among Kalevala characters, Kullervo is the most tragic and negative one, archetype of the strong, ill-fated, brainless and impulsive lad. Jean Sibelius composed a symphonic suite about him. The two brothers Untamo and Kalervo have a fiery argument ending with Untamo going to war to Kalervo’s tribe. Untamo slaughters everyone but Kalervo’s pregnant wife, who he keeps as a slave. 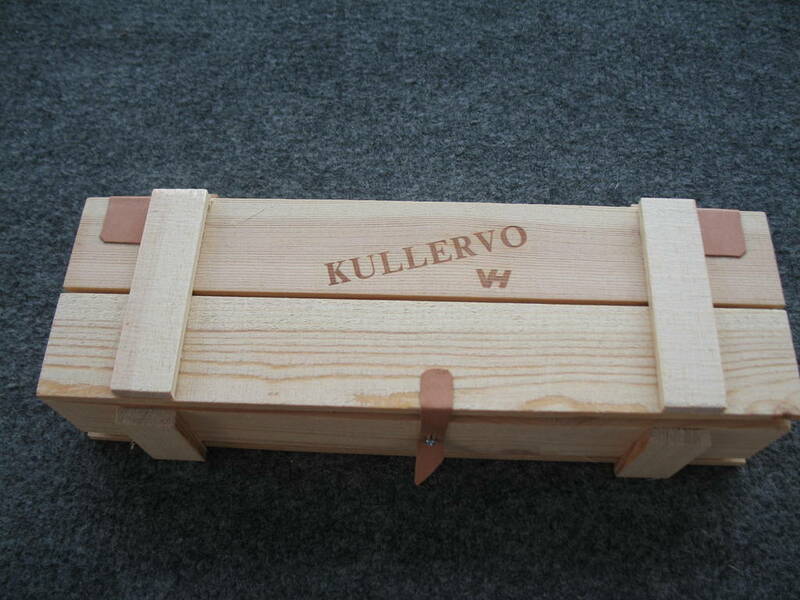 Kullervo is born and shows immediately his furious temper. After three days he destroys the cradle, after three months he start to talk about vengeance towards the uncle. Untamo tries to drown him in a river, Kullervo is later found fishing. It’s then tried to burn him, but Kullervo just plays with the ashes and fire. 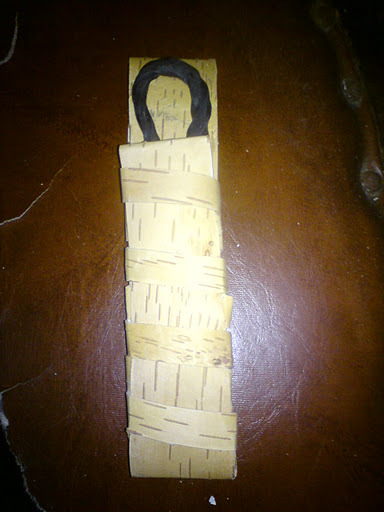 Finally he tried to hang him, but Kullervo, instead of choking, carves up the tree. Kullervo grows up and Untamo tries to put him to work as nurse for a new born baby, just to see Kullervo leaving the child to starve. When he has to care for a field he just destroys it. If he has to build a fence he creates it without an entrance. When he has to thresh the rye he destroys the harvest. Finally Untamo sells him to the smith Ilmarinen. 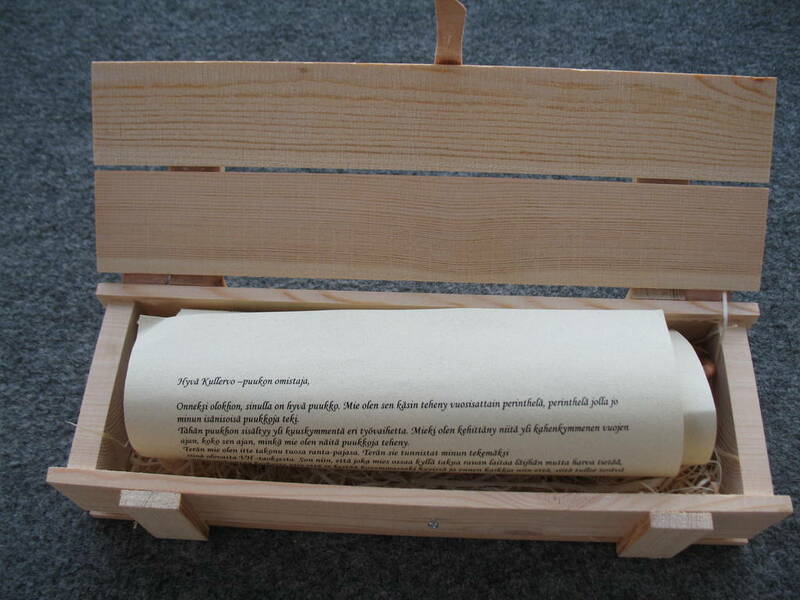 Ilmarinen’s wife puts him to graze cattle and, to make fun of him, she cooks him a loaf filled with a stone. 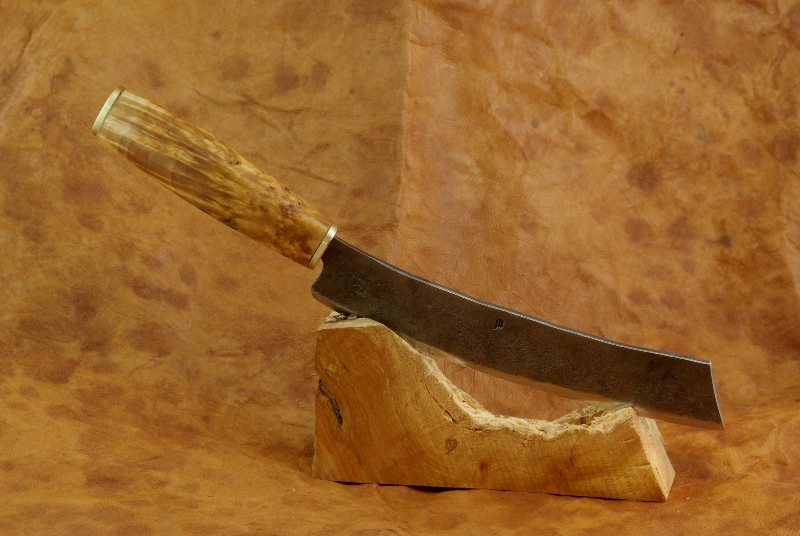 While doing his duty Kullervo tries to cut the bread, but his puukko hit the stone and breaks. He’s filled with grief since the knife was the only memory of his family. Enraged he curses his mistress and calls a pack of wolves and bears for vengeance. While Ilmarinen’s wife is milking the cows Kullervo stirs the beasts towards her. She’s bitten in the face by wolves and has a leg cut off by bears. She begs Kullervo for help but he leaves her bleeding to death. This done Kullervo flees and wonders sadly in the woods. Here he meets an old fairy who tells him his family is still alive. He’s overcome with joy and searches for them. Once at home he’s warmly welcomed by the mother that then informs him that one of his sisters is disappeared in the forest. At home Kullervo tries to work with less success than what he did when he was a slave. He destroys the boat, ruins the fishing net, splatters the fish. He’s now sent to pay tributes due to the tribe, but on his way back home he meets a maiden. He tries with no success to seduce her with words, but manages to attract her showing his jewelry and fine clothes. Kullervo now lies with her without caring who she is. After he has satisfied his lust they talk just to find out to be brother and sister. She runs off in despair and drowns herself in the river. 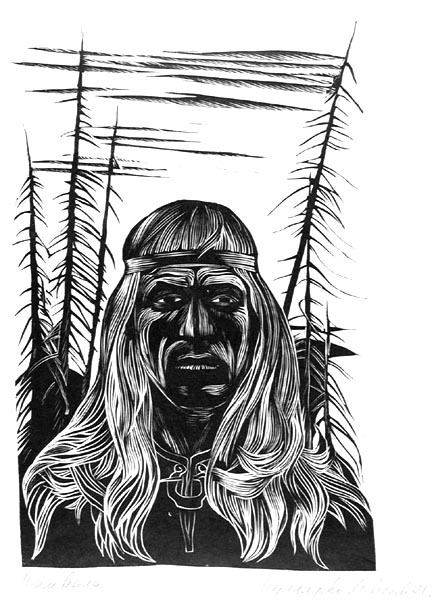 Kullervo heads home, tells the tragic story to his mother and decides to go to war against Untamo in the hope to die in battle, giving at least a meaning to his own death. His mother tries in vain to convince him to remain with them, asking who will care for them if something happens. A hardhearted Kullervo wishes them all to die and prepares to leave. Only his mother seems to feel affection for him still. While on his way to war he learns about the death of his father, brother and sister, but shows no interest or feelings for them. But when his mother dies he’s once again alone and embittered. He then gives dispositions for her burial. Now to the war. He asks the the god Ukko his magic sword for a terrible victory and with that blade he slays Untamo and his tribe. Fulfilled by his revenge he heads home and when he finds it empty calls his mother spirit asking why she left him alone in this world. She replies from the grave telling he has his dog left for hunting. 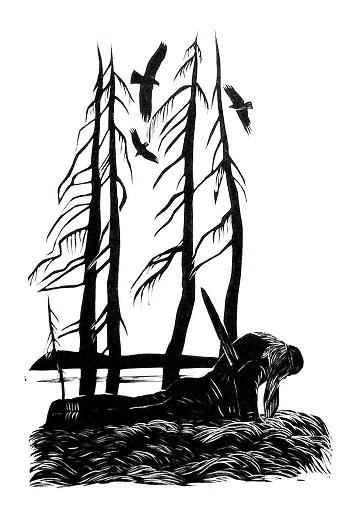 Kullervo goes to the woods for the hunt but shortly after he finds again the glade where he dishonored his sister. Rage and desperation take him, he asks to the sword if it would kill him. The weapon has no problem in drinking sinner blood, as long as it often cuts innocent flesh. He then thrust the hilt in the ground and impales himself on the blade. 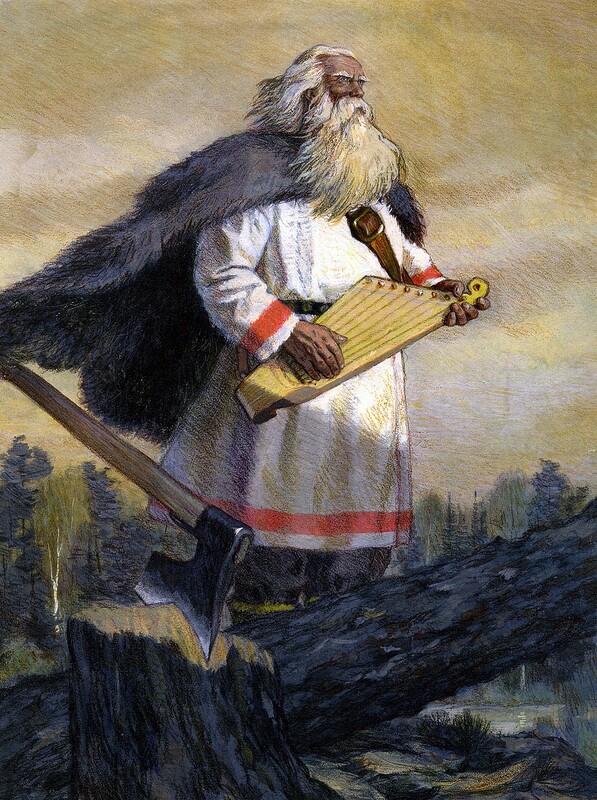 The wizard bard Väinämöinen warns the future generations about raising children recklessly. This profile is of Martti Malinen who lives in Puumala, Finland in the middle of Lake Saimaa. 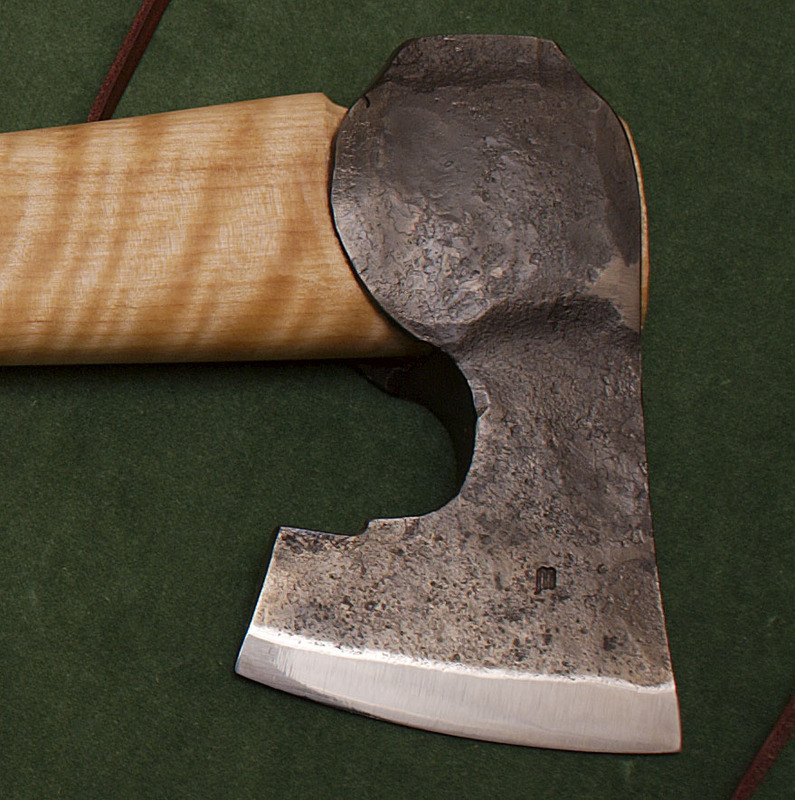 While known for his very fine axes, he is a smith who makes puukkos, tools and just about anything else anyone may need. He teaches classes occasionally at his place called Goose Meadow and is also an outfitter and guide for canoeing, kayaking and hiking expeditions. “My father is a carpenter and I remember his tool box from when I was 4 years old. 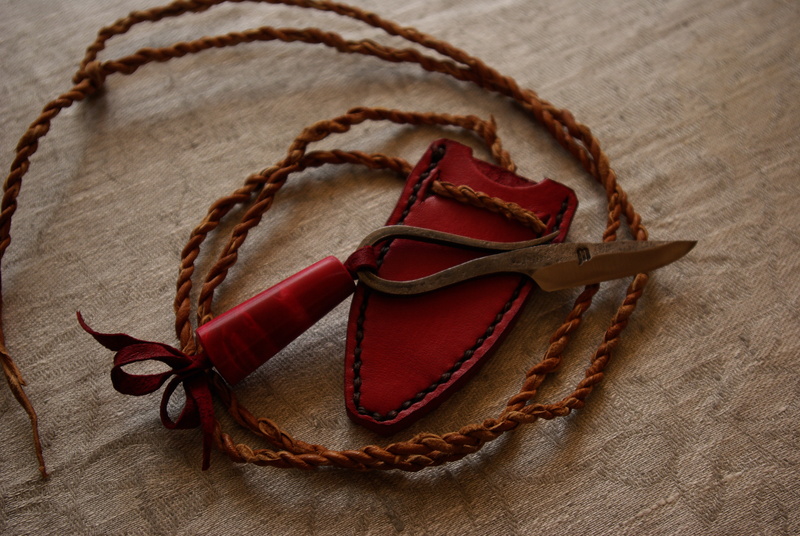 The tools were really sharp and my father let me use them all; his knife was a Swedish Mora in a red brown sheath and that was my first contact with knives. I got interested in blacksmithing because of my hobbies, when I was a teen I used to spend all my free time fishing and hiking. 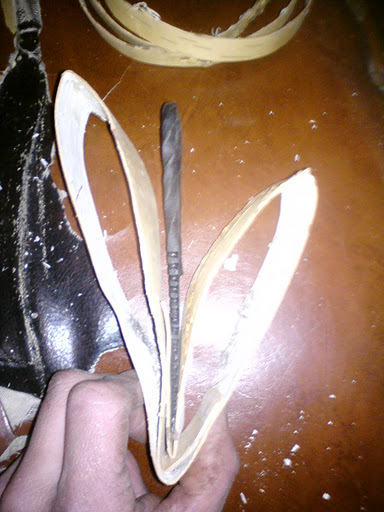 At that time it was common to make your own gear at home, so I started to make knives, canoes, backpacks, lures, flies etc. 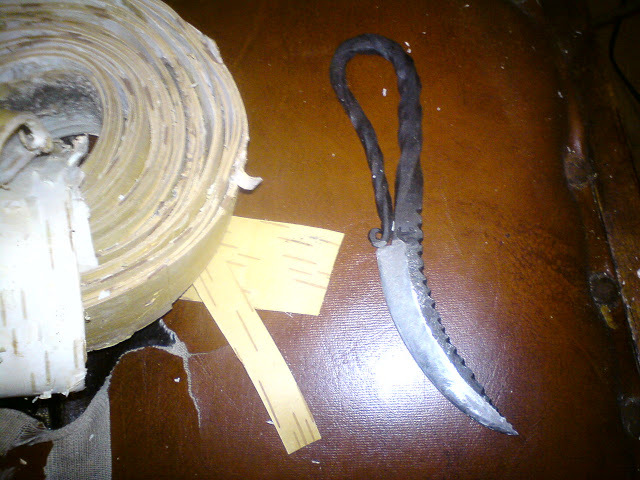 I crafted knives with ready made blades but it didn’t satisfy me. In 1988 I graduated from the forestry college and bought a house. 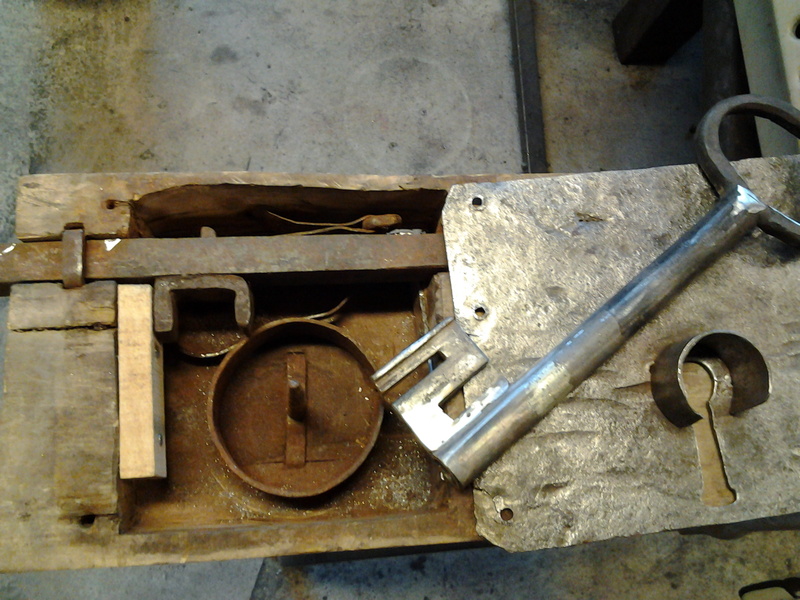 In the same year I got my first anvil and started to hammer blades. 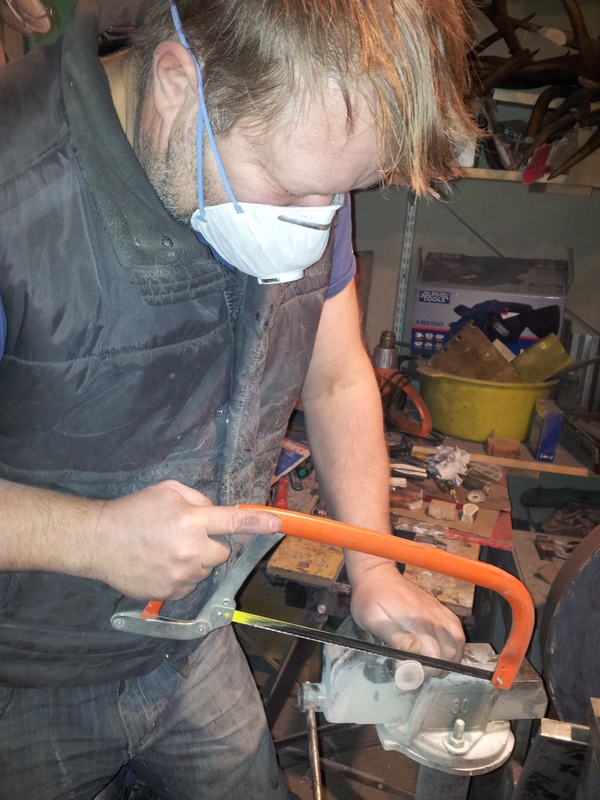 I have studied hammering by myself mainly, but in the beginning I contacted old Masters and visited their workshops. 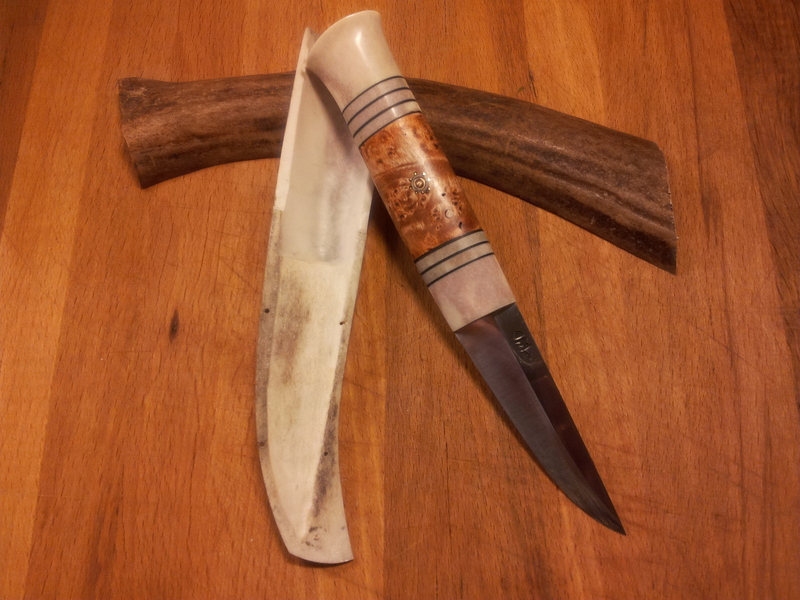 Uuno Vedenpää made a big impression on me and mainly I still follow his methods in traditional Finnish type of blade making. 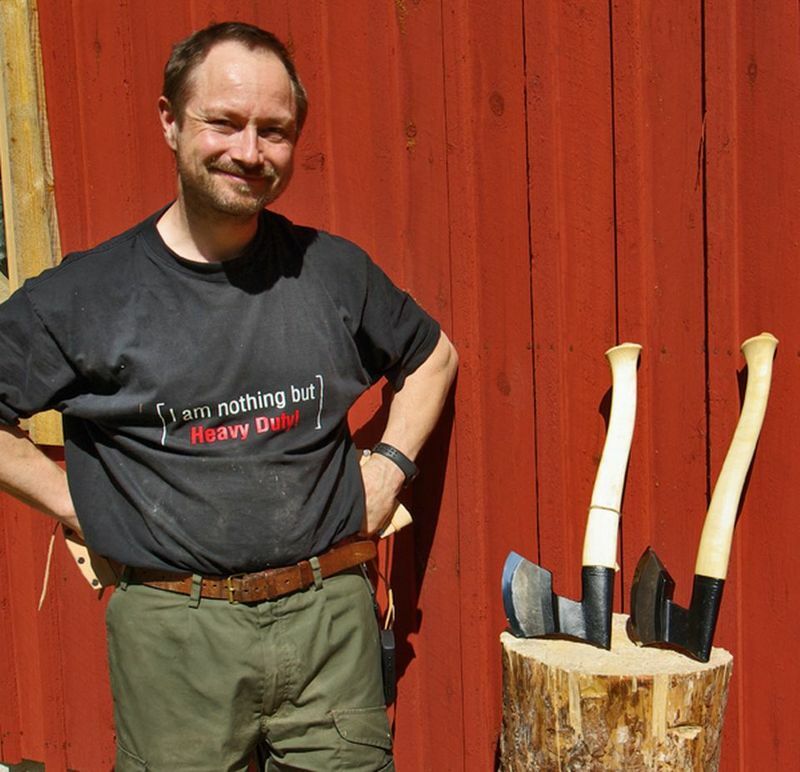 At that time hammering wasn’t a common hobby, while now the Finnish knifemakers guild is a big association. In the beginning of the 90s I worked in Kuru at the Institute of Forestry as a teacher. I taught courses in log house building and taught survival skills for wilderness guides. 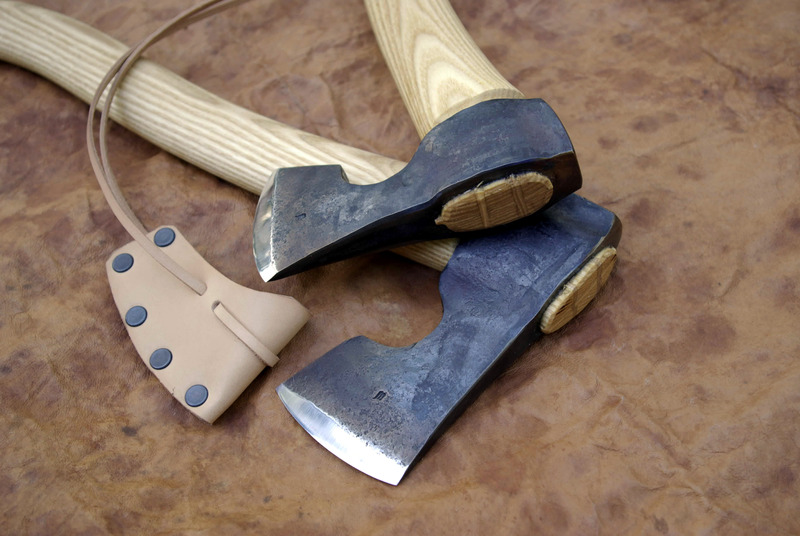 Log house builders needed lots of special tools and I had the anvil and the workshop at home, so it was natural for me to make axes and other tools for the courses. Soon students started to ask for the tools also. I started to sell axes and knives at that time as a side job. In 2005 I moved away from Kuru and started my own company in Puumala which has kept me busy. I still give courses sometimes, but now they are in my own workshop and held in commercial way, I don´t want to go back to the teacher’s role and job, I enjoy the freedom that I have now. 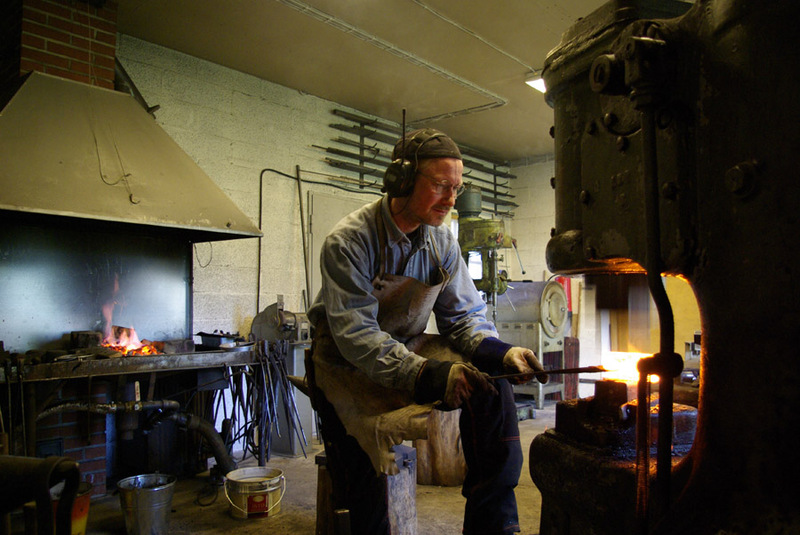 As my own teachers I still need to mention Hovard Bergland, a Norwegian blacksmith that taught some short courses in Finland. I learned a lot from him. 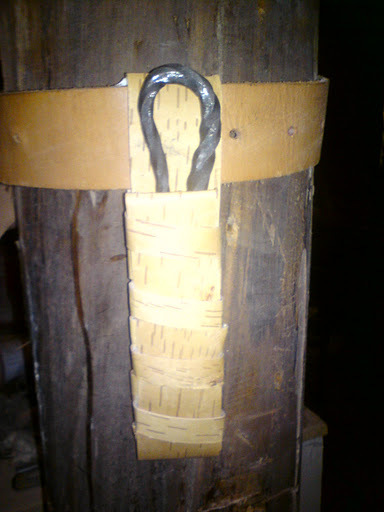 I like to keep the Finnish blacksmith tradition alive. 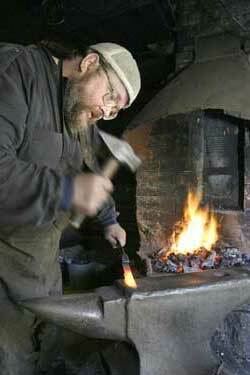 It´s somehow important to offer services for locals if they need a blacksmiths help. That’s why I accept many kind of orders, not only knives and axes. 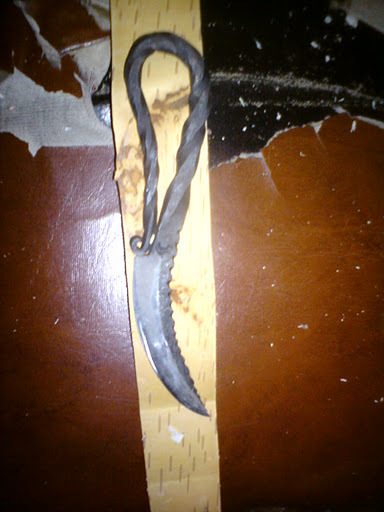 I don’t want to fill the world with my knives but if the neighbor comes to me and asks me to forge the candle holder I make it gladly. My duty is to be the smith in the local community. 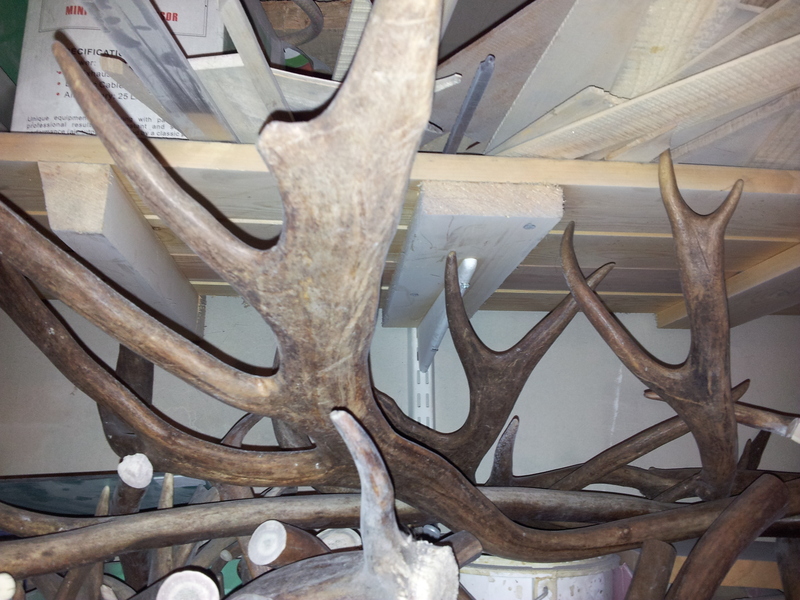 I get my inspiration from my own experiences from hunting and fishing trips. 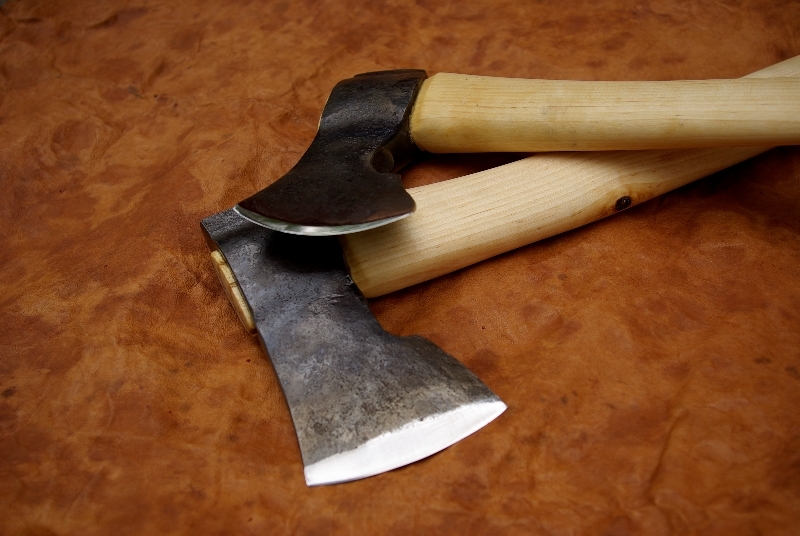 I carry the knife everyday on my belt and I use it too, but I never go for long trips in the wilderness without an axe. I could forget my knife but not the axe. 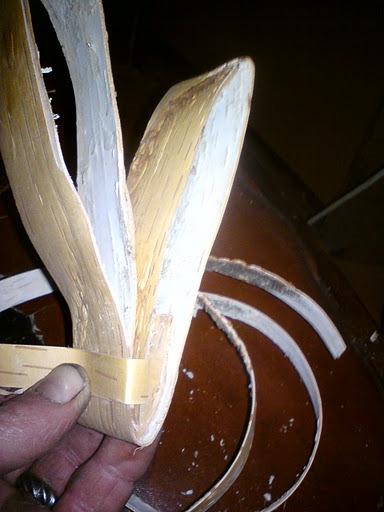 Also Finnish tradition in tool making is important for me. 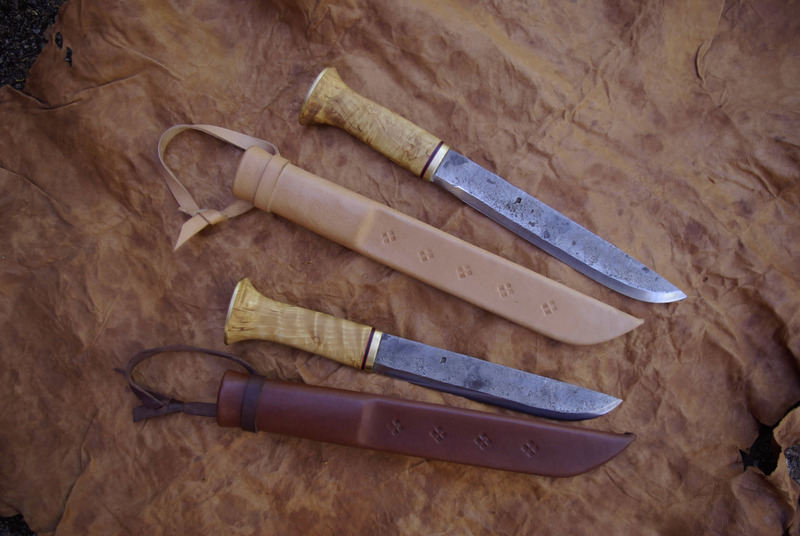 We have a very rich culture in knife and other tool making because in old times people ordered tools from the local smith, and of course the local smith had his own models. 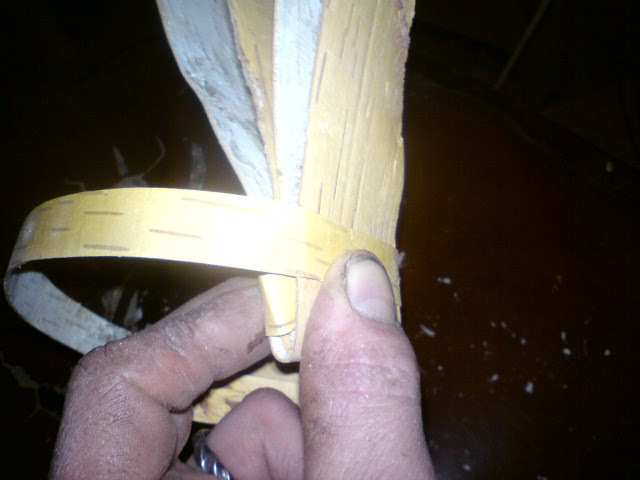 Now we can copy the models from books and the internet and there is the risk to kill the small local traditions. 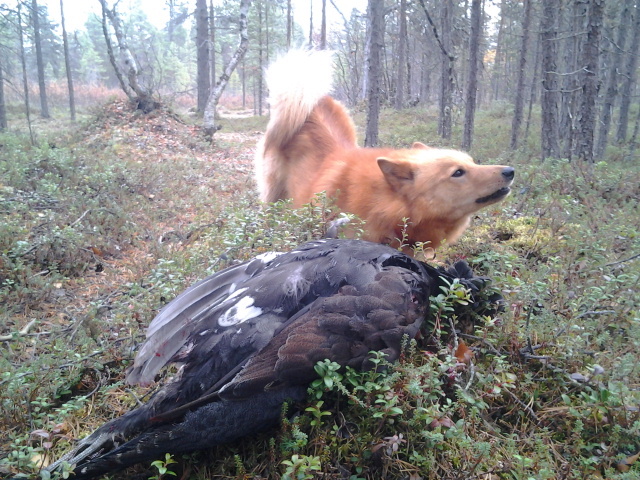 Martti’s dog on a hunt in Lappland. 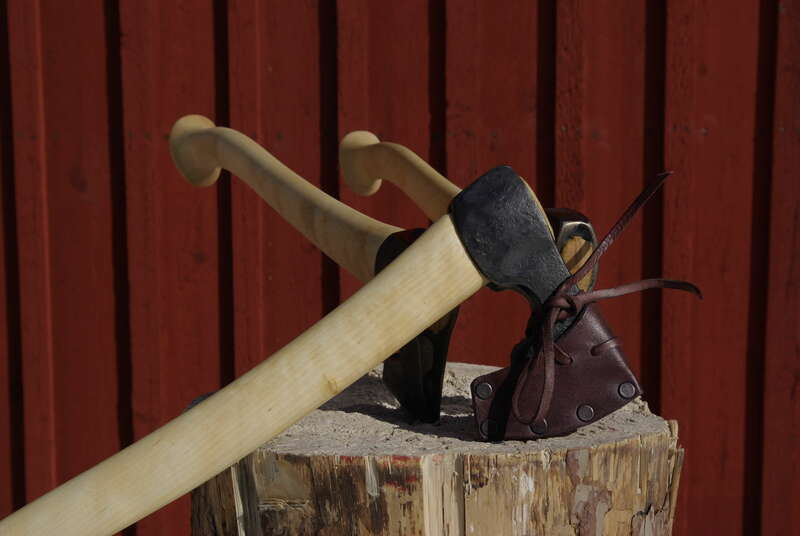 More about the emännänveitsi… the story about the shape of the blade has been explained to me as it has been passed down through the years. 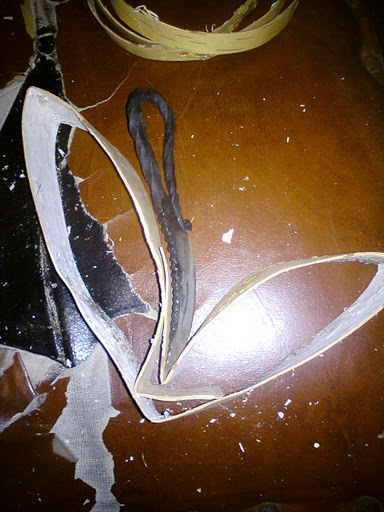 It seems the man of the house didn’t want his wife to have a large knife with a sharp point. It could be used against him if he misbehaved. An angry wife could inflict much damage. I enjoy learning folklore like this, it’s not usually found in books. 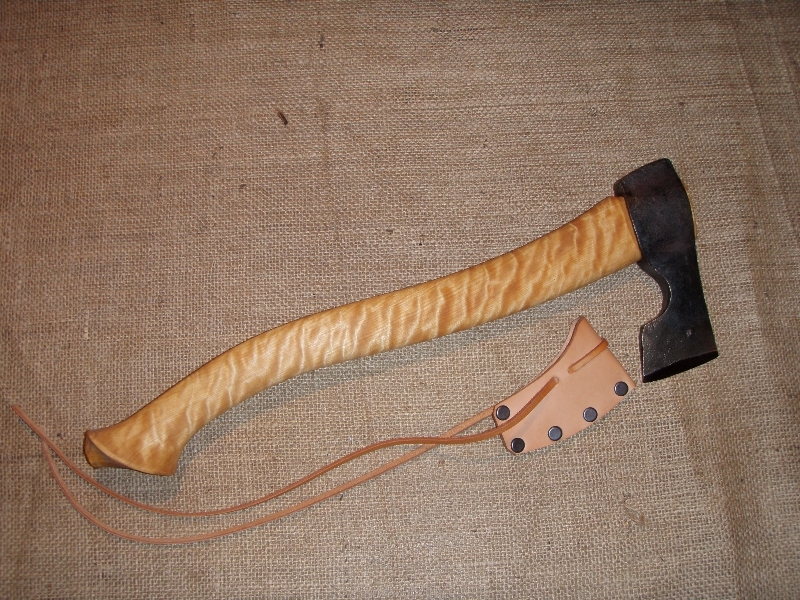 An emännänveitsi with birch bark sheath by Tuomas Tolmala. So there you have it! Although, the knives in this post look like they could do some serious damage to an offending husband. 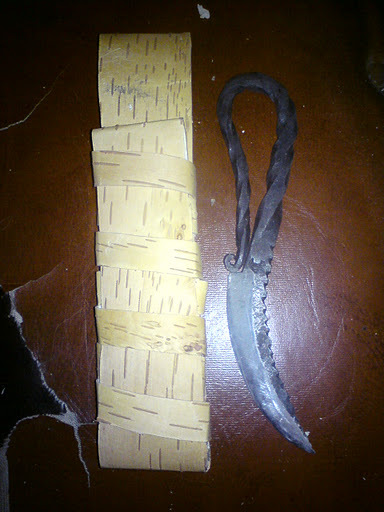 Also, here is a WIP by Ilkka Seikku on how to make a tuohituppi for the knife. I’d like to tell more about the making of tuohituppis in the future, from the harvesting and preparation of the bark to a finished sheath. 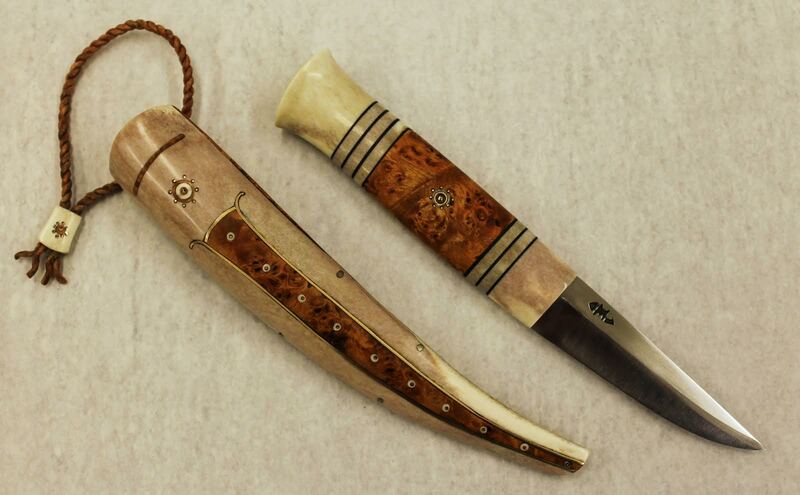 I think they are really nice traditional sheaths and would like to see more of them.